Nashville, TN isn’t just Music City, it’s also foodie city. There are over 5,500 restaurants within the Nashville area, which, according to the National Restaurant Association, accounts for nearly half of all the restaurants in the state. 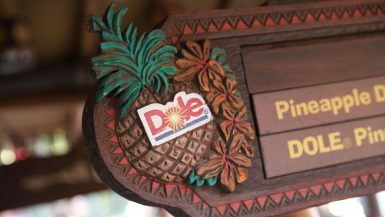 With so many choices for food, which locations do you choose to dine at? I turned to Yelp! and decided to test out the top 20 restaurants, dessert spots, and coffee shops based on the number of reviews to find which locations rein supreme. After some long lines and countless days of full bellies, here are the nine mandatory Nashville foodie spots you absolutely must check out when you’re in Music City. You can’t say you’ve been to Nashville if you haven’t eaten at Hattie B’s Chicken. This legendary Southern joint is known for their fried chicken, sweet iced tea, and Nashville comeback sauce. The food is SO good that there’s always a line, with guests waiting upwards of two hours on any given day. In fact, when I arrived at 9 p.m. on a December weeknight, there was a 40 minute wait despite the 11 degree temperature. It’s that good. There’s almost 4,000 reviews of Hattie B’s on Yelp which can help you decide what to order when you’re in line. Tip: While there’s always a line, you don’t need to wait for your Hattie B’s fix. 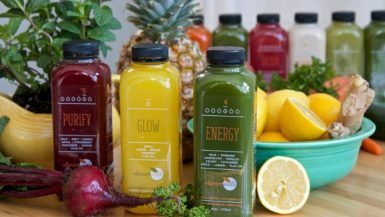 They partner with Uber Eats for food delivery, and also offer to-go order pickup on their website that can be scheduled up to two weeks in advance! If you’re down with eating somewhere other than their patio, this is the way to go! This is hands-down my favorite restaurant in Nashville and one of my all-time favorite restaurants anywhere in the world. This American spot is located on 2nd Ave, just a short walk from the Honky Tonks and serves the absolute best hot chicken sandwiches, salads, and pizza you’ve ever had in your life. Tip: Order a hot chicken sandwich, BBQ chicken pizza and the deviled eggs appetizer. The Stillery has a limited dessert menu but that’s ok! Get full on the healthy stuff and then head to Mike’s Ice Cream for dessert next door! You haven’t had ice cream until you’ve had Mike’s Ice Cream. It’s not uncommon to see country stars upload photos of themselves at this dessert mecca. Gwyneth Paltrow even blogged about Mike’s on Goop and made her own limited-time sundae while she was filming locally. Despite the celebrity love, Mike’s doesn’t have the long-lines of Hattie B’s, which makes this the perfect spot to drop by, try one of their 30 homemade flavors, and snap an IG pic before heading over to the Honky Tonks! Tip: $5 gets you two scoops of homemade ice cream in a homemade waffle cone. 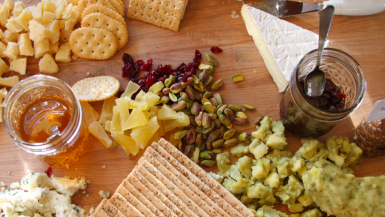 This provides the best value and is perfect for sharing! This is the most unsuspecting location on this list. Monell’s doesn’t have an IG-worthy wall outside their establishment, their interior looks like you’re visiting a friend’s house at Thanksgiving, and the food (which is served family style) doesn’t photograph well. So why is this place on the list? Because it’s one of the best dining experiences you’ll ever have in your life. At Monell’s guests are served family style at large, communal tables. It doesn’t matter who you came with, it’s about sharing the experience of eating great Southern food while enjoying the Southern hospitality. Monell’s provides one of the best Southern charm hospitalities anywhere in America. You’ll instantly feel like you’re stepping into an Anthony Burdain or Samantha Brown show on the Travel Channel to enjoy a hidden Nashville treasure. For $14.95 you can enjoy all you can eat with fellow foodies. They pride themselves on talking with your new friends, enjoying a cell phone-less dinner (outside of snapping a few pics), and bonding over soul food. Montell’s is one of the only Nashville locations to score over a 4.5 rating on Yelp and boat over 1,100 reviews. This is a Nashville must-visit spot. Tip: Plan on spending at least two hours at Montell’s. 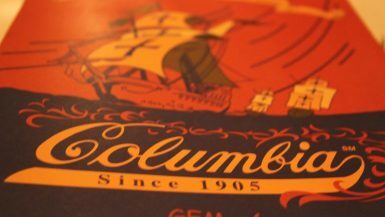 This place is just as much about the great interactions with fellow diners and staff as it is about the delicious food. Sometimes, you just need some latte art in your life. At CREMA, coffee is perfected with some world-class latte art and a view to boot! Grab some macaroons, avocado toast, a honey latte, and enjoy their incredible view of Nissan Stadium and downtown Nashville. Users rave about how affordable they are ($2-$6 for espresso/tea beverages $3-$6 for meals) and they offer some unique twists on lattes that you can’t find anywhere else! Fantastic for IG-shots, and even better for enjoying some quality joe! Tip: Come for their light breakfasts or dessert. This is the perfect spot where you can grab an affordable breakfast ($10 covers food + beverage + tip) and start your day off on the perfect note! Where most of Nashville has crazy long lines for breakfast, you can save a few hours by eating here. 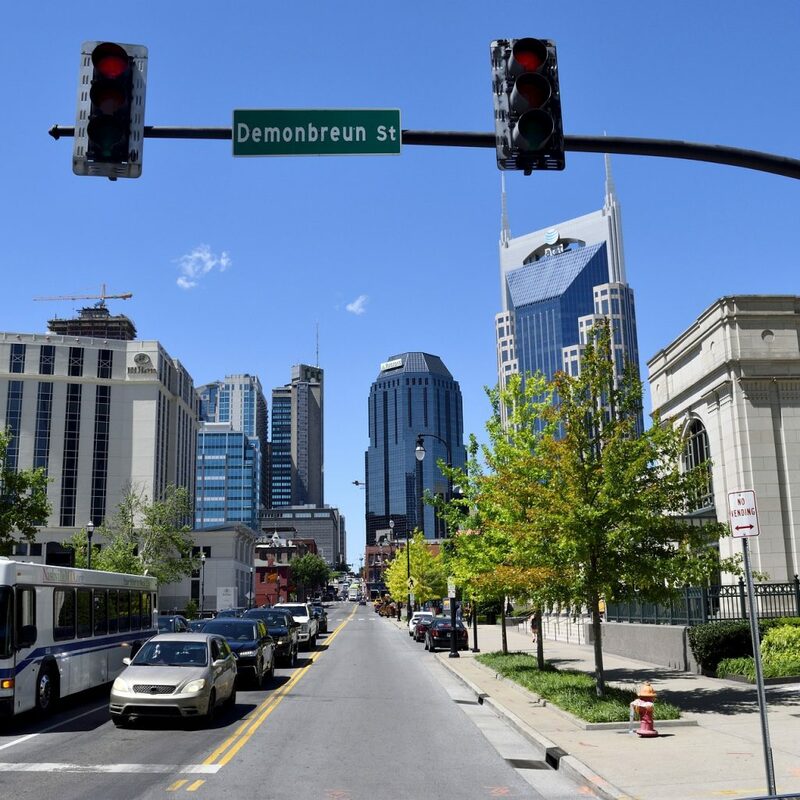 If you’re visiting Nashville, chances are you’re going to hit up Broadway at some point. While there are some amazing Honky Tonks and celebrity-owned bars (Dierks Bentley, Jason Aldean, Florida Georgia Line), you’ll realize that the largest line is filled with mid-20 somethings trying to get into Acme Feed & Seed. Acme Feed & Seed is located at 101 Broadway, right next to the Riverfront, and features a multi-story experience of delicious food, drinks, and atmosphere. Where most bars and restaurants on Broadway have 2.5 or 3 star ratings, Acme is not only the highest rated at 4.5 stars but it’s the most reviewed as well with over 1,200 people sharing their positive experiences here. Guests rave over the hot chicken sandwiches, sushi, and famous Nashville-crafted drinks. If you’re looking for the perfect spot to have dinner and some drinks before hitting up downtown, this is your place! Tip: While they’re open until 2 a.m. their kitchen’s close early. While they don’t specify their official food hours online, we’ve seen the kitchen close as early as 9:30 p.m. on weeknights. If you’re here for the food (not just drinks), plan on arriving by 8:30 p.m. to ensure you leave with a full belly. 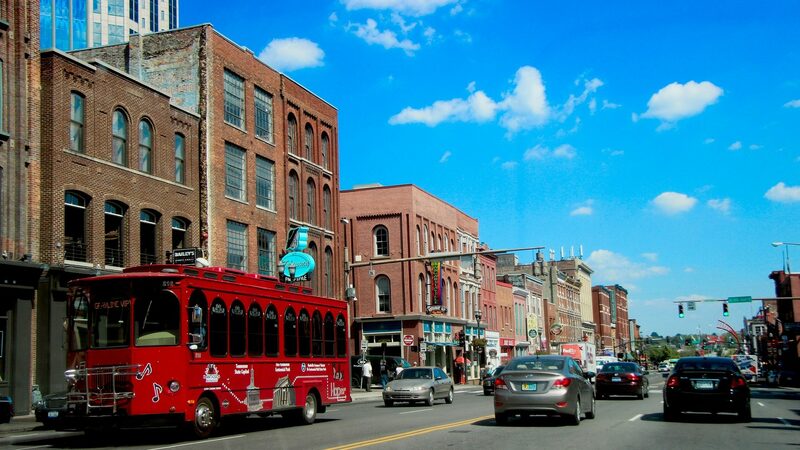 Wondering on how you can save on airfare costs to Nashville? Here’s your insider guide on how you can outsmart Allegiant Air on your next trip!